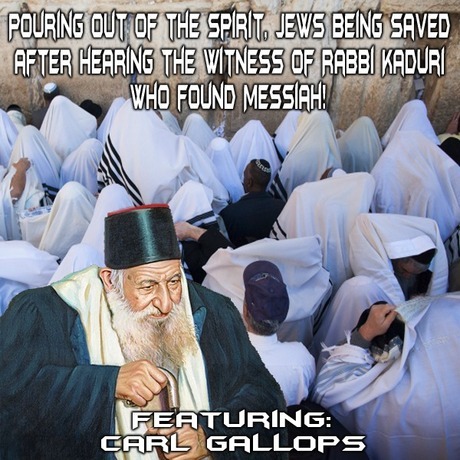 MESSIAH'S BRANCH Ministries and International Radio: End Time Radio By Messiah's Branch - Pouring out of the Spirit, Jews being saved after hearing the witness of Rabbi Kaduri who found Messiah! End Time Radio By Messiah's Branch - Pouring out of the Spirit, Jews being saved after hearing the witness of Rabbi Kaduri who found Messiah! Pouring out of the Spirit, Jews being saved after hearing the witness of Rabbi Kaduri who found Messiah! Some Jewish Students of Rabbi Kaduri as well as other Jews are turning to Yeshua as Savior after reading the book and hearing the testimony from another saved Jew.